On January 4, 2011, the President signed H.R. 2142, the “GPRA Modernization Act of 2010”, which became Public Law 111-352. The new law requires Federal agencies to set clear performance goals that they can accurately measure and publicly report in a more transparent way. On December 18, 2010, President Obama signed into law S. 3789, the “Social Security Number Protection Act of 2010,”which became Public Law 111-318. On December 17,2010, the President signed H.R. 4853, the Tax Relief, Unemployment Insurance Reauthorization, and Job Creation Act of 2010. The new law includes a one-year reduction in employees’ FICA tax and several other provisions of interest to SSA. On December 9, 2010, the President signed into law H.R. 1722, the “Telework Enhancement Act of 2010,” which became Public Law 111-292. The new law contains provisions of interest. On December 8, 2010, the President signed into law H.R. 4783, the “Claims Resettlement Act of 2010,” which became Public Law 111-291. The new law contains a provision of interest. On December 8, 2010, the House and Senate each acted on bills that would have authorized the Department of the Treasury to disburse $250 payments to Social Security and Supplemental Security Income beneficiaries. On October 13, 2010, President Obama signed into law H.R. 946, the “Plain Writing Act of 2010,” which became Public Law 111-274. The new law requires Federal agencies to communicate information about benefits and services in language that is simple and easy to understand. On October 13, 2010, President Obama signed into law H.R. 6200, the “WIPA and PABSS Extension Act of 2010,” which became Public Law 111-280. The bill extends, through fiscal year 2011, funding authorization for the Work Incentives Planning and Assistance (WIPA) and the Protection and Advocacy for Beneficiaries of Social Security (PABSS) programs. On September 27, 2010, the President signed into law H.R. 5297, the “Small Business Jobs Act of 2010,” which became Public Law 111-240. The law allows business owners to deduct the cost of health insurance incurred in 2010 for themselves and their family members when calculating their 2010 self-employment tax. Under current law, business owners are not allowed to deduct the cost of health insurance for themselves and their family members when calculating self-employment tax. 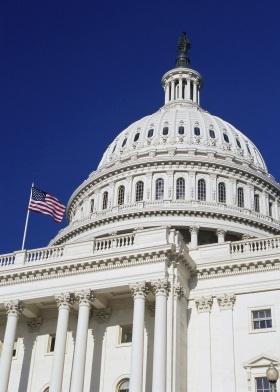 On September 23, 2010, the House passed, by voice vote, S. 1674, the “Improving Access to Clinical Trials Act of 2010”. On August 5, 2010, the Senate had passed the same bill by unanimous consent. The legislation now awaits the President’s signature to become law. On July 22, 2010, President Obama signed S. 1508, the “Improper Payments Elimination and Recovery Act of 2010,” which became Public Law 111-204. On June 10, 2010, the House passed H.R. 5072, the “FHA Reform Act of 2010.” The bill would not impose any requirements on SSA. However, the bill would prohibit the Secretary of Housing and Urban Development (HUD) from insuring certain mortgages unless the mortgagor provides a valid Social Security Number and is a United States citizen, a lawful permanent resident, or an alien who legally resides and is authorized to work in the United States. We will continue to monitor this bill. On May 28, 2010, the House passed H.R. 4213, the “American Jobs and Closing Tax Loopholes Act of 2010”. The bill would ensure collection of Social Security employment taxes earned by certain service professionals in situations involving an S corporation. It would also ratify a class-action lawsuit settlement ( Elouise Cobell et al. v. Ken Salazar et al.) that determined the United States had mismanaged American Indian assets for generations, and exclude certain settlement payments from consideration as income or as a resource for SSI purposes. On March 30, 2010, President Obama signed into law H.R. 4872, the “Health Care and Education Reconciliation Act of 2010,” which became P.L. 111-152. The new law contains a number of revisions and additions to P.L. 111-148, the Patient Protection and Affordable Care Act." Of particular interest, the law includes a $1 billion fund to the Secretary of HHS to carry out implementation of the health care reform legislation. On March 23, 2010, President Obama signed H.R. 3590, the “Patient Protection and Affordable Care Act,” which became Public Law Number 111-148. Of significance to SSA, the new health care law provides for a reduced Medicare Prescription Drug Plan Subsidy for higher-income beneficiaries, and requires SSA to provide citizenship-related verifications for new health insurance programs. On March 18, 2010, President Obama signed H.R. 2847, the “Hiring Incentives to Restore Employment (HIRE) Act ”, which became Public Law 111-147. Descriptions of the provisions in the bill that are of interest to SSA may be found in Legislative Bulletin 111-37, dated March 18, 2010. The bill includes provisions to exempt qualified employers from paying the employer share of OASDI tax for newly hired employees who had previously been unemployed. On February 27, 2010, the President signed H.R. 4532, the “Social Security Disability Applicants' Access to Professional Representation Act of 2010.” The new law makes permanent the Social Security Administration's programs that allow direct payment of attorneys and certain non-attorney representatives in Social Security and Supplemental Security Income cases. Provisions of interest were previously described in Legislative Bulletins 111-32 and 111-33. On December 19, 2009, the President signed H.R. 3326, the "Department of Defense Appropriations Act". The enactment has been designated as Public Law 111-118. (P.L. 111-84). The legislation predominantly provides for military appropriations. However, several provisions related to Federal employee benefits are contained within the bill. On October 7, 2009 by Unanimous Consent, the Senate Passed S. 942, the "Government Charge Card Abuse Prevention Act of 2009". The legislation would strengthen oversight of both purchase and travel cards. This summary will be of special interest to those employees who use such cards, and to SSA staff involved in oversight of the travel and purchase card programs. On September 24, 2009, the House passed H.R. 3631, the “Medicare Premium Fairness Act,” by a vote of 406-18. The bill now moves to the Senate for consideration. On September 18, 2009, the President signed into law H.R. 3325, the “WIPA and PABSS Reauthorization Act of 2009" which became Public Law 111-63. On June 26, 2009, the House passed H.R. 2454, the "American Clean Energy and Security Act of 2009," by a vote of 219-212. Of note, the bill would establish a new Energy Refund Program to make payments to low-income individuals, in an effort to compensate them for increased energy costs likely to result from the legislation. Among the categories of individuals eligible for refunds would be Medicare Part D Low-Income Subsidy (LIS) recipients and SSI recipients. On June 4, 2009, the House passed H.R. 626, the “Federal Employees Paid Parental Leave Act of 2009,” by a vote of 258–154. Among other provisions, the bill would provide Federal employees 4 weeks of paid parental leave. On April 21, 2009, the President signed H.R. 1388, the Edward M. Kennedy Serve America Act. Among other provisions, this law requires the Corporation for National and Community Service (CNCS) to study the feasibility of using data matching to verify statements of citizenship, nationality, or status as a permanent resident. CNCS would have to determine whether it could use the Department of Education's data match against our records and those of the Department of Homeland Security or whether CNCS could establish a comparable system. The Act has been designated Public Law 111-13. On February 17, 2009, the President signed H.R. 1, the "American Recovery and Reinvestment Act of 2009". The Act has been designated Public Law 111-5. The House passed the conference report by a vote of 246-183, on February 13, 2009. The Senate passed an identical version of the conference report that same day by a vote of 60-38. Descriptions of the SSA-related provisions in the new law may be found in Legislative Bulletin 111-12, dated 02/13/09. On February 4, 2009, President Obama signed into law H.R.2, the "Children's Health Insurance Program Reauthorization Act of 2009," (P.L. 111-3). Earlier that same day the House passed, by a vote of 290 to 135, the Senate-amended version of H.R.2. The new law contains a provision that provides States the option to verify an individual's declarations of citizenship or nationality for purposes of Medicaid and/or CHIP eligibility through an electronic comparison of the information provided by the individual with information in SSA records, effective January 1, 2010. On February 3, 2009, the House passed H.R. 559, the "Fair, Accurate, Secure, and Timely (FAST) Redress Act of 2009", by a vote of 413 to 3. No action has yet been taken in the Senate. The legislation would amend the Homeland Security Act of 2002 to establish an appeal and redress process for individuals wrongly delayed or prohibited from boarding commercial aircraft. On January 14, 2009, the House of Representatives adopted H. Res. 40, “Amending the Rules of the House of Representatives to Require Each Standing Committee to Hold Periodic Hearings on the Topic of Waste, Fraud, Abuse, or Mismanagement” by a vote of 423-0. The simple resolution amends the Rules of the House to require each standing committee to hold periodic hearings on specified topics such as waste, fraud, abuse, and mismanagement in Government programs. As a simple resolution, H. Res. 40 only requires approval by the House in order to take effect.